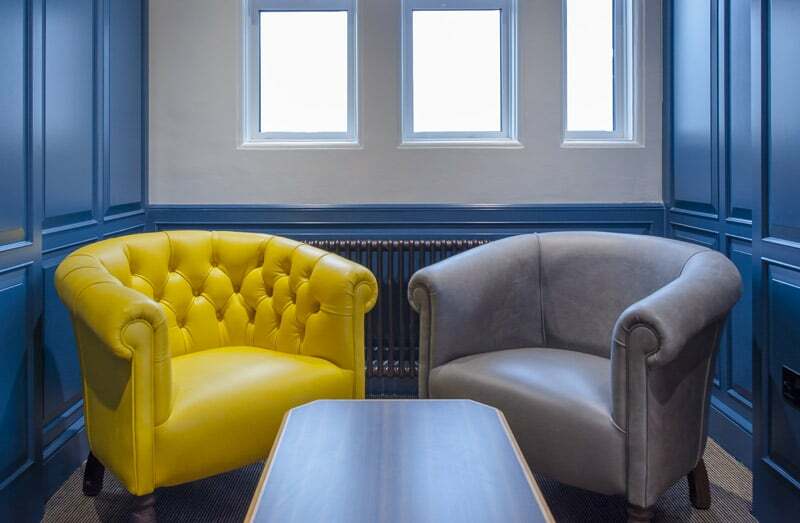 T-Space was commissioned to reconfigure Claygate House, an Essex landmark as a corporate headquarters. A handsome building in a prominent location, this renovation had to satisfy two apparently conflicting demands; to preserve the dignity and presence of a well – loved and historic building, while accommodating the needs of an expanding business. 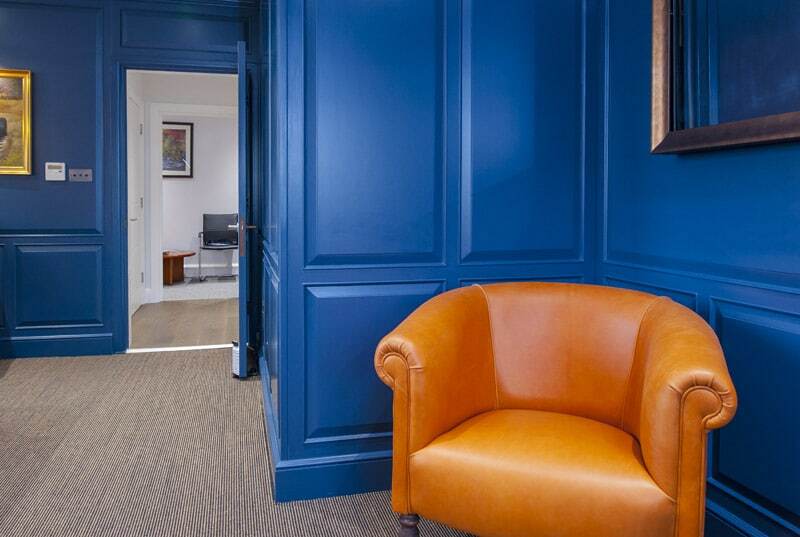 With this in mind T-Space specified Oxford Tub chairs by Fleming & Howland for the Director’s office. 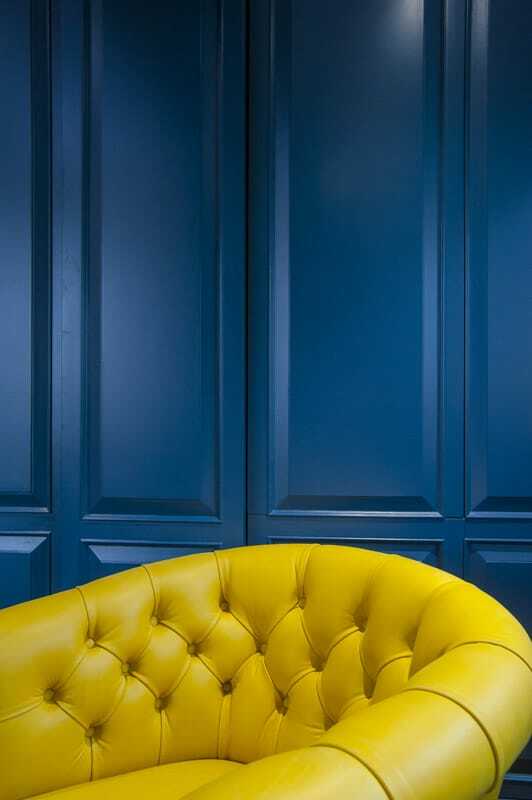 The expert craftsmanship and bright vivid colours of their seating provide a striking contrast to the cooler palate of the office interior. The result is a workspace that is well appointed but avoids a corporate atmosphere by retaining much of the scale and charm of the original building.